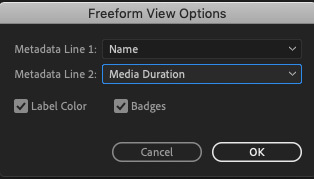 New, with the April, 2019, update to Adobe Premiere Pro CC is the Freeform view in the Project panel. 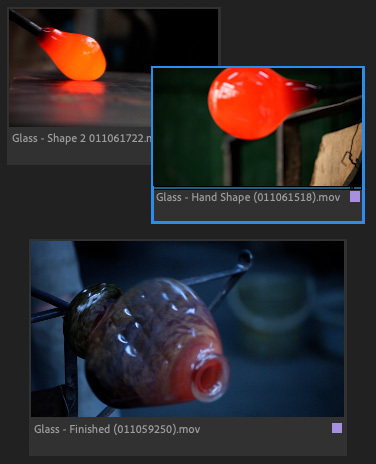 To turn on Freeform view, click the three line “thumb” next to the Project name. Then, choose Freeform from the popup menu. 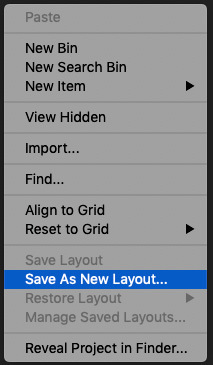 Press the Option key to snap the edges of clips together (top/bottom, left/right). 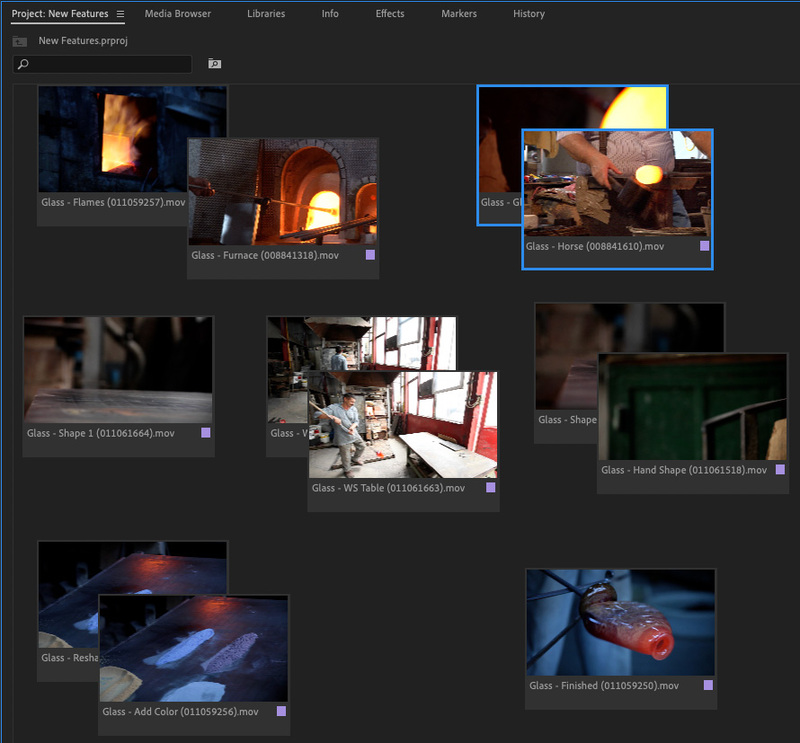 Select one or more clips and move them as a group. Right-click any clip, then, from the pop-up menu, change the size of the clip (Clip Size) or change the poster frame (Set Poster Frame). Hover-scrub any clip, or, select it and press the spacebar to play it. 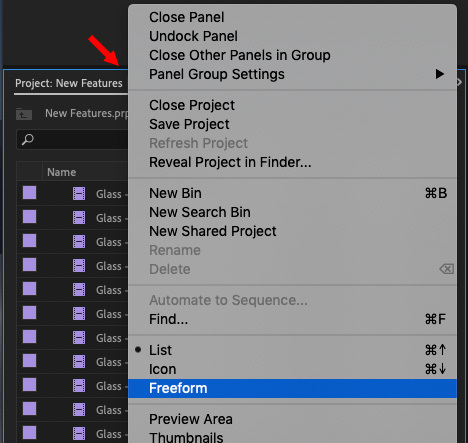 From the thumb to the right of the Project name at the top, choose Freeform Options to change the data displayed under a clip. 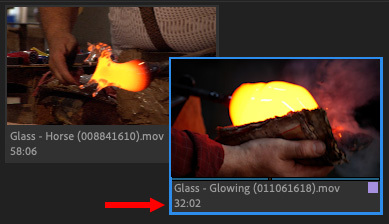 Here, I’ve enabled both the Name and Duration as part of the text displayed under a clip. Perform traditional operations like displaying a project in the Finder, or creating a new bin. 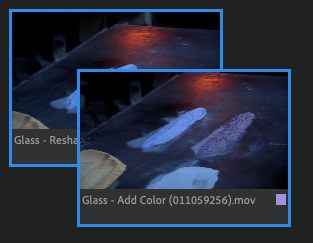 For those of you who may recall the original slide show view in Final Cut Pro 7, Adobe has taken that concept and made it a whole lot more flexible and useful. If you are someone who likes to think visually, rather than reading lists of clips, you are going to love the new Freeform view.